Much of the attention for the 2015 Rittenhouse Buffy the Vampire Slayer Ultimate Collector's Set has been on the inclusion of the franchise's first Sarah Michelle Gellar autographs. And rightfully so. 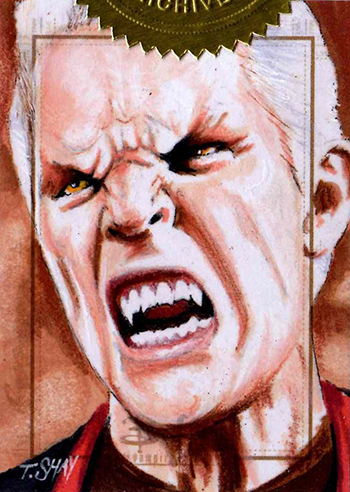 However, the incentive sketch cards are creating some buzz as well. 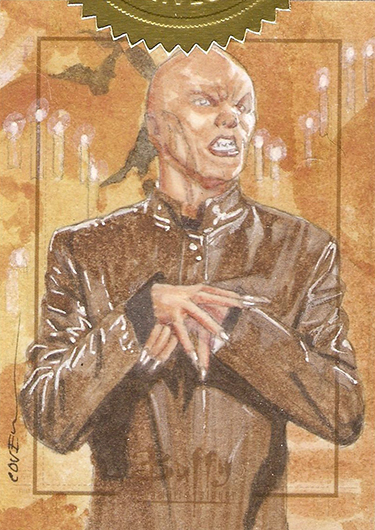 Those who ponied up for four sets, each with a suggested retail price of $400 originally, got one Buffy the Vampire Slayer sketch card. With just 400 sets produced, that means around 100 of the mini works of art are in circulation. This doesn't include Artist's Proofs allotted to those working on the product. 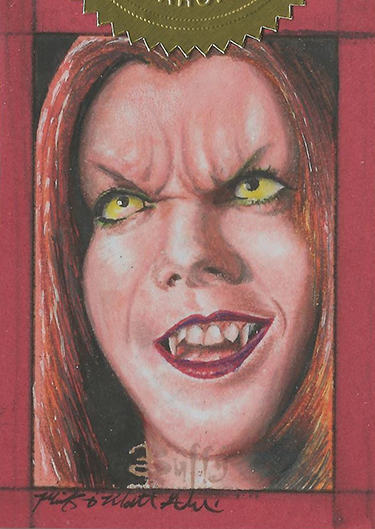 The 2015 Rittenhouse Buffy the Vampire Slayer Ultimate Collector's Set sketch cards are blind packaged in envelopes so dealers and collectors don't know right away which character or artist they're getting. All of the cards that surfaced early show some excellent artwork. It's all highly detailed and entering into the realm of photorealism. 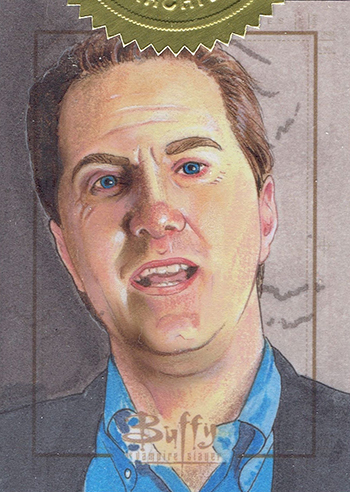 Most are in full-color, although a handful are high-quality pencil sketches. 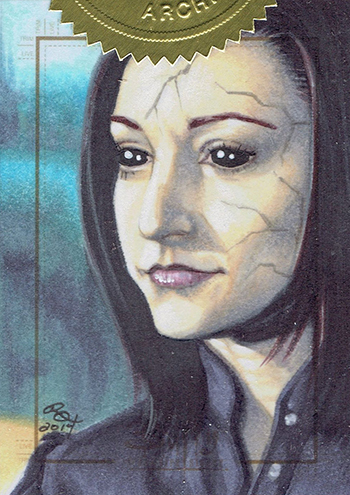 Early sales of the Buffy sketch cards have been very strong. 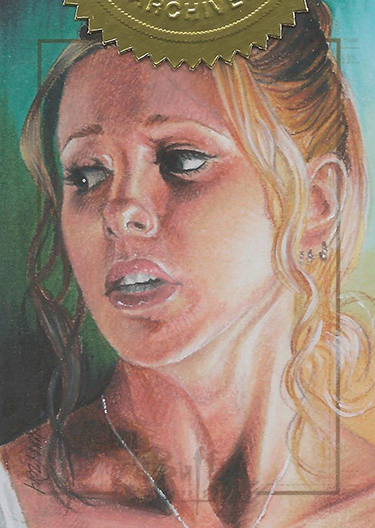 A David Debois rendition of Buffy and Angel sold for $1,500 on eBay. Another of Darla went for $750. Debois isn't the only artist fetching these sorts of numbers. A Javier Gonzalez card featuring Oz also changed hands at $750. 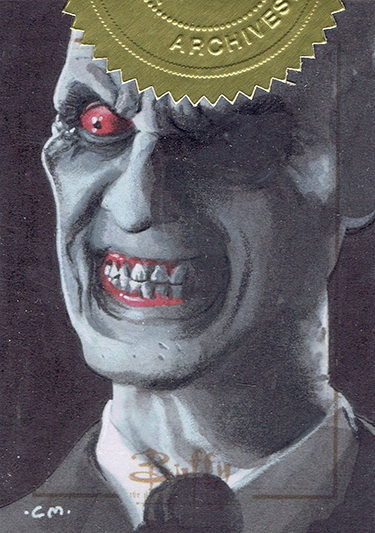 Other early eBay sales started at $375, which was a fast Buy It Now sale of Spike by Tim Shay, and up. Unopened envelopes, which started out at about $350, have quickly surged to the $450-500 range. 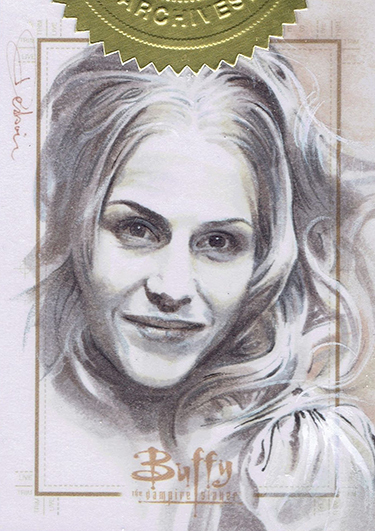 A big part of the appeal to the 2015 Rittenhouse Buffy the Vampire Slayer sketch cards is the fact that, like the Sarah Michelle Gellar autograph, it marks new territory for the franchise. Through all the sets that Inkworks made during their run with the line, art cards were never included. 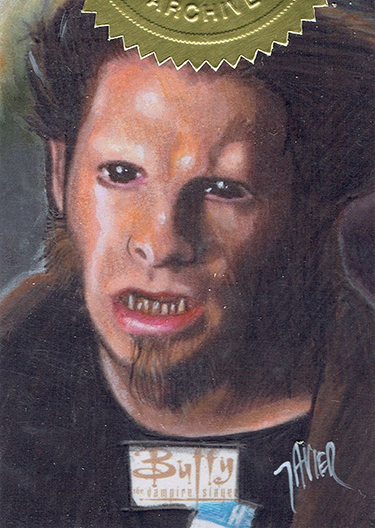 Buffy Vampire Slayer Ultimate Collector's Set 3 David Desbois Spike Sketch Card!